We can't imagine a cozier place to eat molten cheese—and that's really saying something considering we spend most of our days imagining eating molten cheese. This winter, the Rhode Island resort Ocean House will debut what they claim is the first-ever fondue gondola concept in North America, and we believe they are correct. 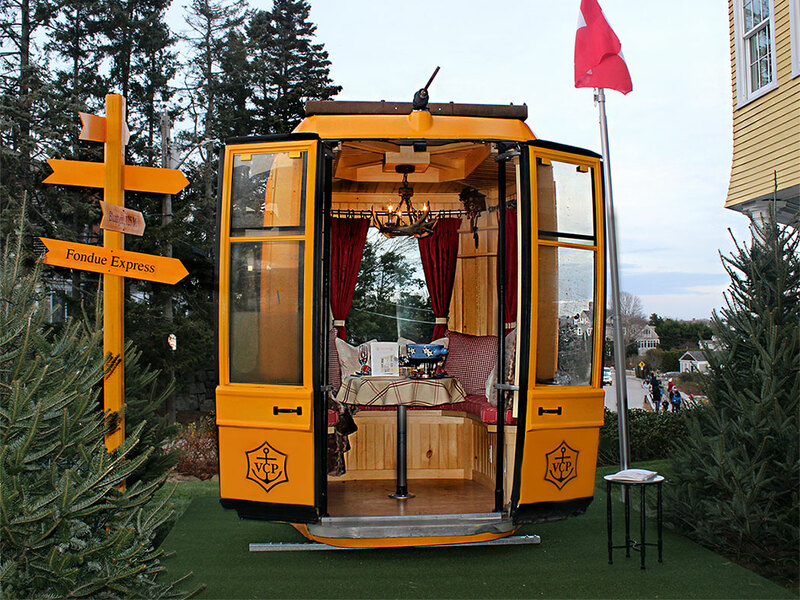 The cozy pop-up, located inside of a repurposed ski cable car that seats just six guests, will serve a three-course, fondue-centric menu with Veuve Clicquot pairings, as guests enjoy the novelty of eating inside of a luxury gondola called the Fondue Express. While the ski lift is stationary, you probably wouldn't want to eat hot, liquid cheese in a moving vehicle anyway. 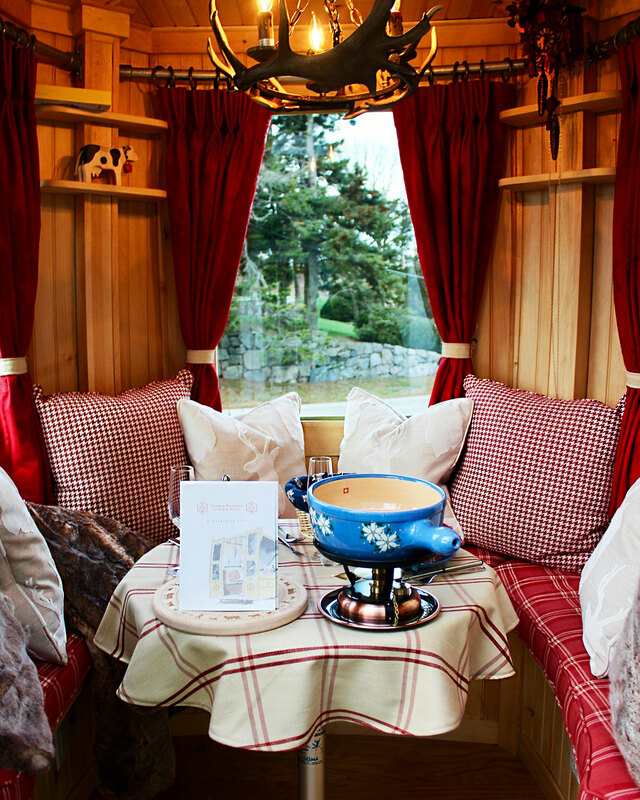 The festive gondola is decked out with heated wood floors, plush seating, and an authentic cuckoo clock to go along with the Swiss theme. If guests get chilly, or don't like the outfits they're wearing, they can borrow white Columbia Titanium jackets. On board, the menu is three Alpine-inspired courses, each paired with a glass of Veuve Clicquot. The meal begins with a Swiss meat plate that includes Black Forest ham, cornichons, and pickled vegetables, then transitions to fondue, then ends with a Swiss plum tart with cinnamon ice cream. You get to take Swiss chocolates with you for the road. Reservations are required, with seating available at 7:30 p.m. Sunday through Thursday; and twice daily on Fridays and Saturdays at 6:00 p.m. and 8:30 p.m. Without pairings, the meal is $300 for up to four people, and with Champagne, $460. Reservations can be made on Ocean House's website, or by calling 401-584-7000.